As the market leader in the foodservice industry we are proud to announce that a Handgards mobile app is now available for download from the Apple App Store or Google Play store. Inside the app you will find our complete product line information and a PDF of our current product catalog. Our news section/blog will feature the latest news and tips from Handgards or the foodservice industry. The Handgards University website has been optimized to be featured inside the app so you get the full online experience. 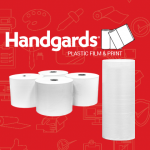 The Handgards YouTube video channel is integrated inside the app and you can find the product overviews and how-to videos right at your fingertips. 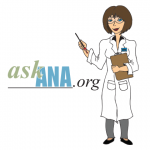 If you ever have a question about our products, our “AskAna” feature is also included so you can submit your question directly to “Ana” from the app making it easier and efficient to have your question answered in a timely manner. Be on the lookout for new features as the app continues to evolve so please take the time to download the app. Handgards University is not actual university, college, or learning institution, the site has been developed for product information, product education, and product training. Handgards University is a “learning” tool for Handgards personnel and our customers and sales/broker network. © 2018 Handgards® INC. All rights reserved.